Although pre-recorded CDs have certainly lost their luster with the convenience of digital music streaming and downloads, it was the CD that started the digital music revolution. Many still love CDs and both buy and play them regularly. Here is what you need to know about Audio CDs, and related disc-based formats. CD stands for Compact Disc. Compact Disc refers to both the disc and the digital audio playback format developed by Philips and Sony in which audio is digitally encoded, similar to the way computer data is encoded (1's and 0's), into pits on a disc, using a process called PCM. PCM is a mathematical representation of audio and music in digital form. The first CD recordings were manufactured in Germany on August 17, 1982. The title of the first full CD test recording: Richard Strauss' Alpine Symphony. It was later that year, on October 1st of 1982, that CD players became available in the U.S. and Japan. The first CD sold (first in Japan) was Billy Joel's 52nd Street which had been previously released on vinyl in 1978. The standard CD audio format is also referred to as "Redbook CD". 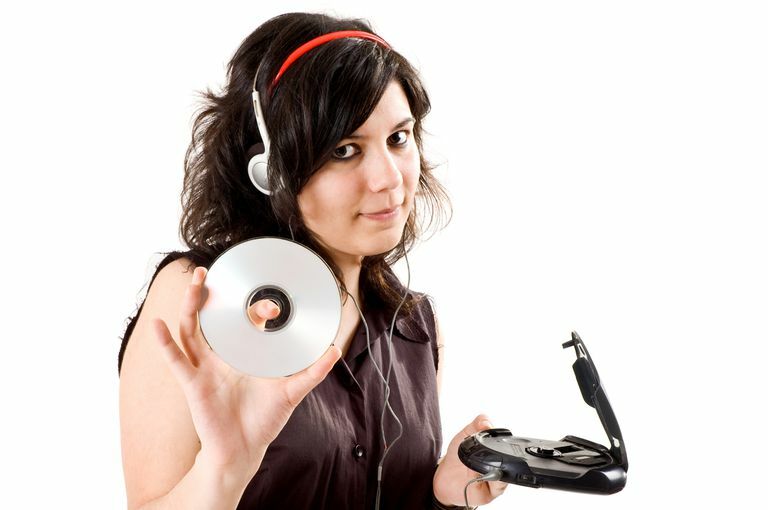 The CD started the digital revolution in audio, PC Gaming, PC storage applications, and also contributed to the development of the DVD. Sony and Philips jointly hold the patents on the development of the CD and CD player technology. Although music is placed on a CD digitally, the initial recording and mixing may, in fact, be a combination of both analog and digital processes. From its debut until about 1995, pre-recorded CDs included special codes (referred to as SPARS codes) on the packaging that informed consumers about the recording, mixing, and mastering process used to make that specific CD. You may still have this labeling on some of the CDs that you own. AAD – The initial audio recording was made using analog recording equipment (such as an audio tape recorder). The mixing was also done using analog equipment, and the final mastering was done digitally. ADD – The initial audio recording was made using analog recording equipment (such as an audio tape recorder). The mixing was done digitally, and the final mastering was done digitally. DDD – All stages, from the initial recording to the final mastering was done digitally. For CDs, the last letter of the SPARS code was always a D.
For more info on the history of the audio CD, check out the report from CNN.com. Also, check out a photo and a complete review (written in 1983 by Stereophile Magazine) of the first CD player sold to the public. CD-R - CD-R stands for CD-Recordable. These discs can be used to record or "burn" music or data using a CD Recorder (music only) or a PC (music or data). Some CD-R's are designated for music recording only and others can record both music or data. CD-Rs can only be recorded once. CD-RW - The same capabilities as a CD-R, except that the CD can be erased and used over again (the RW designation means Re-writable). JPEG Photo CD - A JPEG Photo CD can be either a CD-R or RW disc that has photos on it recorded in the JPEG file format. JPEG Photo CDs can be played on PCs and compatible CD, DVD, and Blu-ray Disc players. VideoCD - In addition to audio and photos, you can also record video on a CD. This is not the same as a DVD, with the quality being more in-between the DVD and VHS formats. Also, video CDs aren't really playable on CD players, unless the CD player has a video output connection (which is not likely) - although dedicated VideoCD players were once popular in several Asian markets. VideoCDs are playable on compatible DVD and Blu-ray disc players. HDCD is a variation of the CD audio standard that extends the audio information stored in the CD signal by 4-bits (CDs are based on 16bit audio technology) to 20bits, HDCD can extend the sonic capacity of current CD technology to new standards, but still enabling, HDCD encoded CDs to be played on non-HDCD CD players (non-HDCD players just ignore the extra "bits") without any increase in the price of CD software. Also, as a by-product of more precise filtering circuitry in HDCD chips, even "regular" CDs will sound fuller and more natural on an HDCD-equipped CD player. HDCD was originally developed by Pacific Microsonics, and later became the property of Microsoft. The first HDCD disc was released in 1995, and although it never overtook the Redbook CD format, over 5,000 titles were released (check out a partial list). When buying music CDs, look for the HDCD initials on the back or internal packaging. However, there are many releases that may not include the HDCD label, but, may still be HDCD discs. If you have a CD player that features HDCD decoding, it will automatically detect it and provide the added benefits. HDCD is also referred to as High Definition Compatible Digital, High Definition Compact Digital, High Definition Compact Disc. SACD (Super Audio Compact Disc) is a high-resolution audio disc format developed by Sony and Philips (who also developed the CD). Utilizing the Direct Stream Digital (DSD) file format, SACD provides for more accurate sound reproduction than the Pulse Code Modulation (PCM) used in the current CD format. While the standard CD format is tied to 44.1 kHz sampling rate, SACD samples at 2.8224 MHz. Also, with a storage capacity of 4.7 gigabytes per disk (as much as a DVD), SACD can accommodate separate stereo and six-channel mixes of 100 minutes each. The SACD format also has the capability to display photo and text information, such as liner notes, but this feature is not incorporated into most discs. CD players cannot play SACDs, but SACD players are backward compatible with conventional CDs, and some SACD disks are dual-layer discs with PCM content that can be played on standard CD players. In other words, the same disk can hold both a CD version and SACD version of recorded content. That means that you can invest in dual-format SACD's to play on your current CD player and then access the SACD content on the same disc later on an SACD-compatible player. It must be noted that not all SACD discs have a standard CD layer - which means you have to check the disc label to see if a specific SACD disc can also play on a standard CD player. In addition, there are some higher-end DVD, Blu-ray, and Ultra HD Disc players can also play SACDs. SACD's can come in either 2-channel or multi-channel versions. In cases with an SACD also has a CD version on the disc, the CD will always be 2-channels, but the SACD layer may be either a 2 or multi-channel version. One additional thing to point out is that the DSD file format coding used in SACDs is also now being used as one of the available formats used for Hi-Res audio downloads. This offers music listeners enhanced quality in a non-physical audio disc format. SACD is also referred to as Super Audio CD, Super Audio Compact Disc, SA-CD.